A healthcare assistant at Didcot Community Hospital says attending the wedding of the Duke and Duchess of Sussex will be a memory she will always cherish. 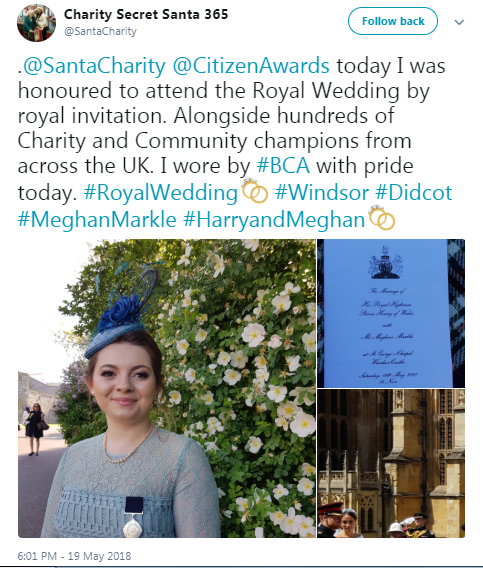 Courtney Hughes, a healthcare assistant at Didcot Community Hospital, was one of 1200 special guests invited to attend the Royal Wedding in Windsor Castle on 19 May. She had been nominated for the honour by Mayor of Didcot Jackie Billington, who sought to recognize Courtney for her contributions to the community throughout the years. Courtney, who has a long history of charity work, started a Christmas ‘Secret Santa’ collection when she was just 13-years-old after her great-grandmother had to spend Christmas in hospital. In the seven years since, the 20-year-old has collected and distributed over £100,000 worth of donations to children and older adults in hospitals and care facilities throughout the county. It was this initiative, which she manages year-round, that earned her a place among the other guests invited to join the festivities on the day. After weeks of anticipation, Courtney was among the guests seated just outside of St George’s Chapel, giving her a front row view of the A-list attendees and the wedding party’s arrival. Uploading images to social media, Courtney commented: “Never did I imagine I would be attending the Royal Wedding. 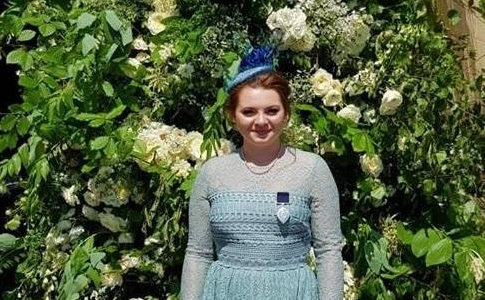 Joined by her mother, Claire Hughes, Courtney donned a custom fascinator as well as her British Citizen Award, which had previously been awarded to her by Theresa May for her charity work.